Tribhuvan University, Faculty of Education published the result of M. Ed Fifth Semester 2075 (ODL). The exam was held by Tribhuvan University on 2074 Magh. Check M. Ed. 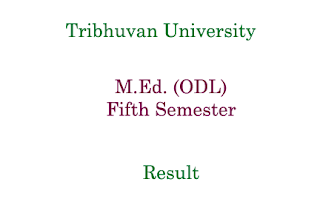 Fifth Semester Result (ODL) Tribhuvan University below.